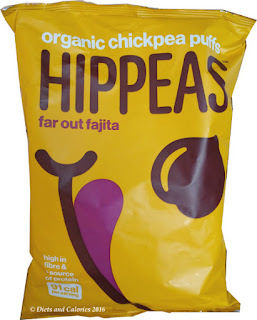 The first I learnt about this new snack was an eye catching advert in the ‘Healthy’ magazine by Holland & Barrett. 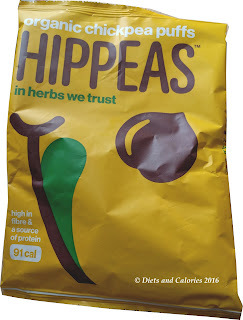 Such a cute name – Hippeas! 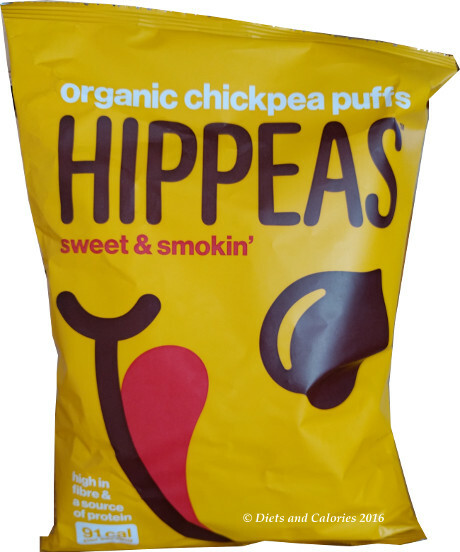 This snack is described as ‘Organic chickpea snacks which are high in fibre, low in calories, organic, gluten free, and a source of protein'. Plus they have just 91 calories per serving. I immediately searched online to see whether they were available at any supermarkets. 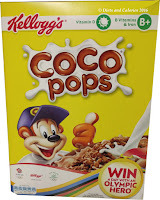 At the time of writing, it appears they’re only available at Waitrose and Ocado as well as health food stores Planet Organic and Holland & Barrett. 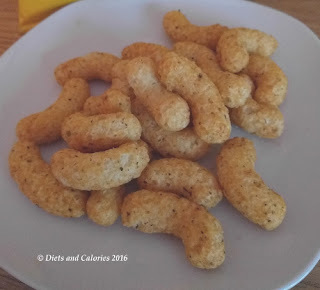 I made the classic mistake of ordering a couple of bags based on the large ’91 calories’ on the front of the pack, thinking the whole pack was 91 calories. 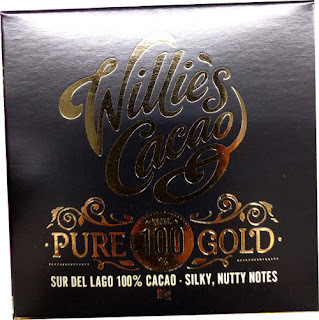 It wasn’t until they arrived that I realised this was actually a large pack (110g) and not the smaller, individual sized 22g pack. It seems only the small packs can be purchased in Holland & Barrett and the larger 110g bags at the supermarkets. 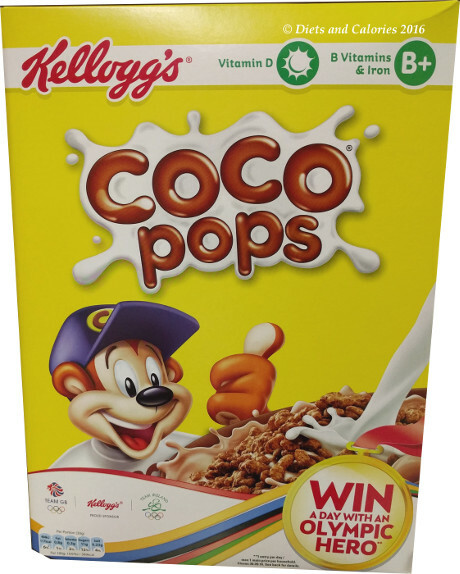 Since the large bags contain 110g, the total calorie content for the whole packet is 456! Since I wanted to know just what the actual serving size of 22g looked like, I weighed out 22g which turned out to be exactly 16 pieces. I’m glad I did, because the first flavour I tried, Sweet & Smokin, was so delicious, I found it hard to stop eating them. I was expecting them to look like chickpeas, much like the Garbanzo snacks (which I eat on an almost daily basis). But no, these are big puffed up shapes that look very much like Wotsits. They’re very crunchy and light, with an intense flavour (from the spices on the outside). After tasting some other flavours, the Sweet & Smokin was definitely my favourite. The fajita flavour tasted a bit like curry and the herb flavour like the dried mixed herbs you buy in a spice jar. 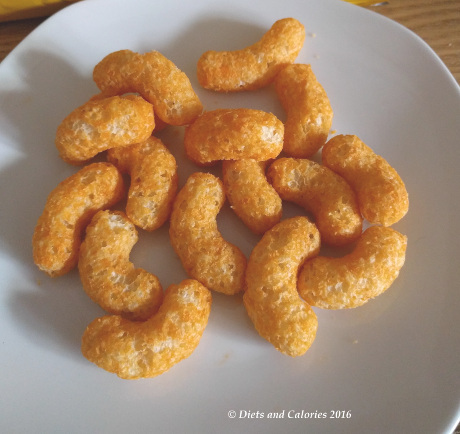 My kids adore these and I’ll probably buy them from time to time as a snack. Each large bag costs between £1.83 and £2.29 per bag depending on where you buy them and they contains 5 servings. Pepper Power (90 calories) . They cost £1.19 per 22g pack or £2.29 per 110g pack at the time of writing.